Bert was signed from Leeds United when he was still just seventeen years old. He was a frequent starter for Dundee United during five years at Tannadice and also played as often in the reserves. He was released in May 1965 and soon after, he joined Motherwell. 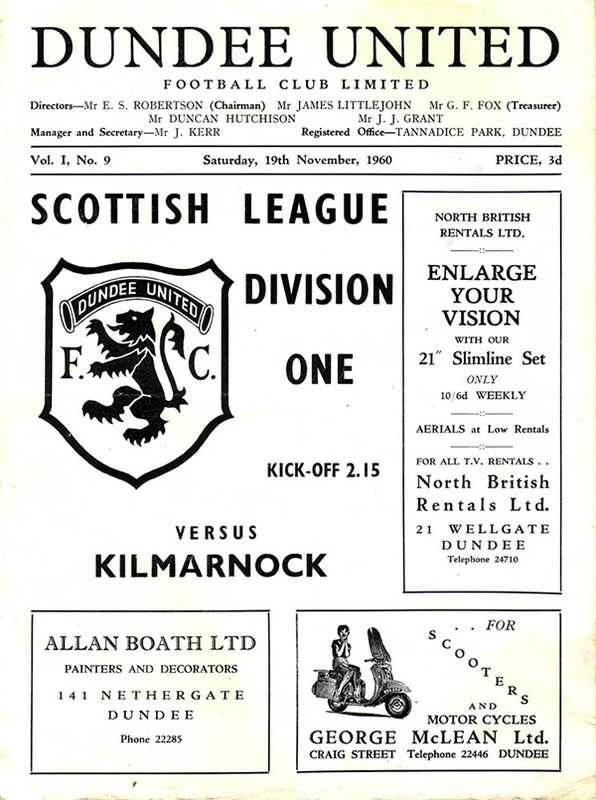 This share was welcomed by both sides for United had recorded only a single win to that time while the Broomfield men had still to take a victory that season. It was a case of comebacks for the Tannadice side all afternoon as they came back three times to salvage a point in the end. Ferguson saw an early home lead equalised by a Jimmy Briggs penalty award then Reid suffered the same misfortune for Airdrie when after he had hammered them into the lead again, Dennis Gillespie stepped in to square things on the half-time whistle. Reid did it again for the home side but Bert Howieson repaired things again for United when netting the goal which shared the spoils.